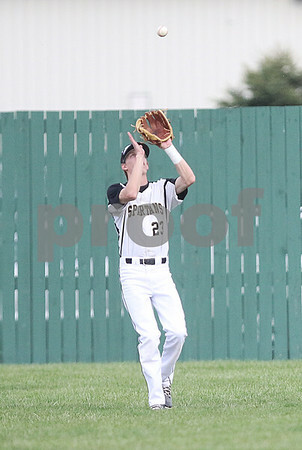 Sycamore's Tyler Maveus lines up to catch a pop fly during a game against Yorkville at Airport Rd. Park in Sycamore on Monday, April 18, 2016. Sycamore beat Yorkville, 5-3.